BIG BANG jokes: Heard the one about … ? 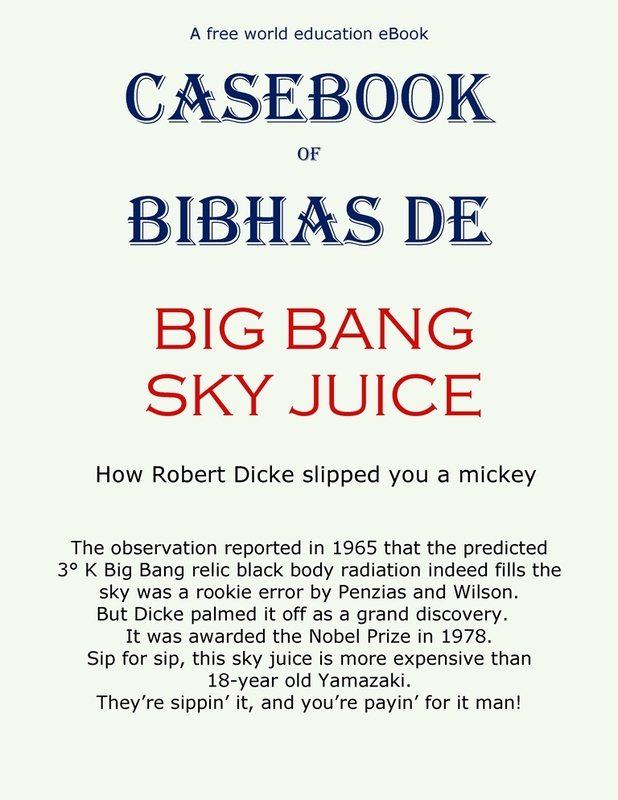 Folks, as you discard Big Bang, don’t throw away the baby with the bath water! Big Bang is good for lots and lots of Physicsville jokes. 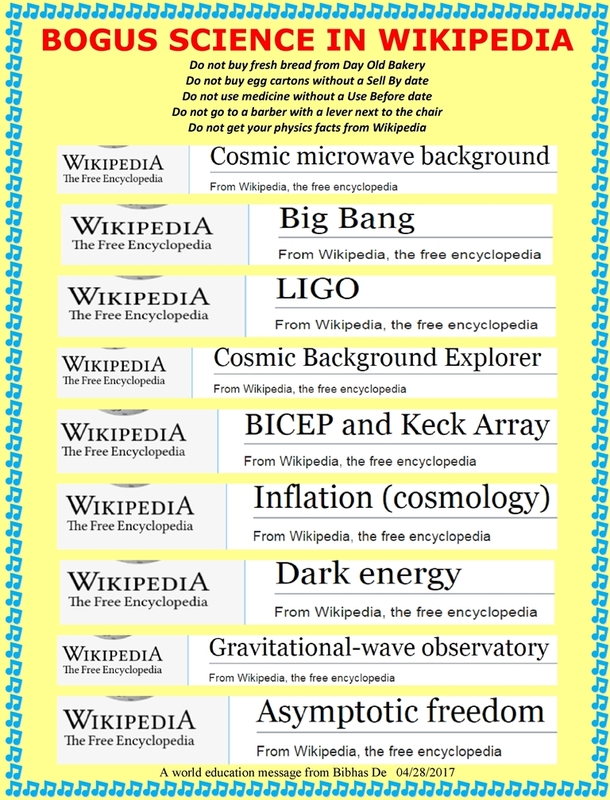 Jokewise speaking, LIGO takes the cake. But Big Bang is not far behind. 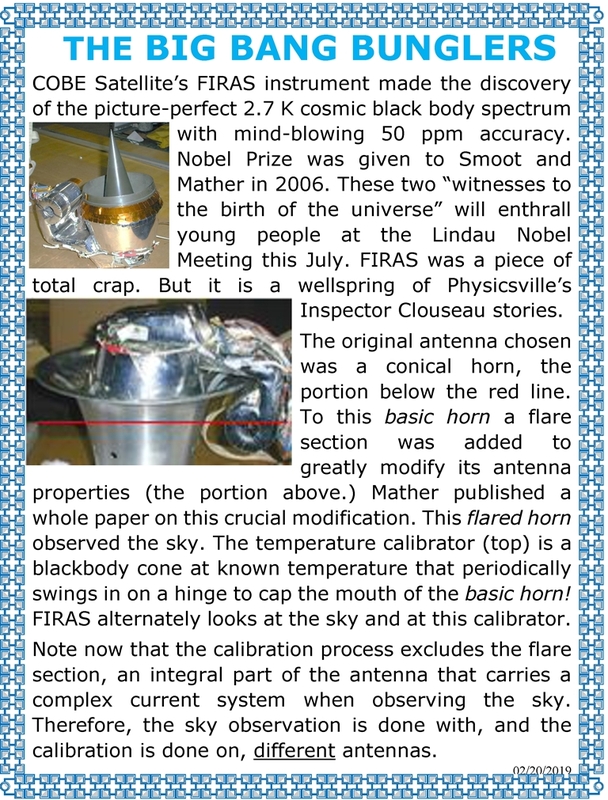 Posted in NASA's COBE Satellite fraud, Uncategorized | Comments Off on BIG BANG jokes: Heard the one about … ? 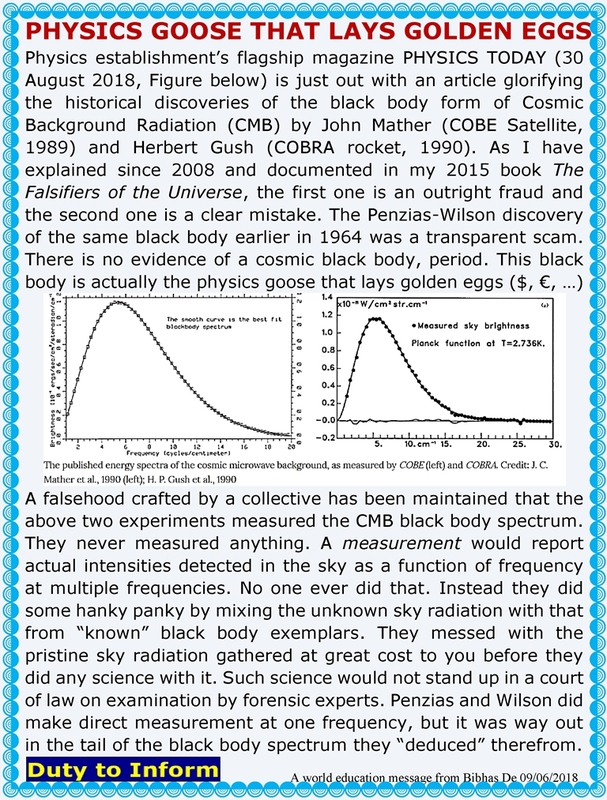 Folks, I have long described the Penzias-Wilson-Dicke cosmic black body scam (1978 Nobel) – in my printed book as well as in the Big Bang casebook. But this is such a sidespliting, rip-roaring yarn that I think it deserves its very own casebook. So here is a preview of the tentative cover. 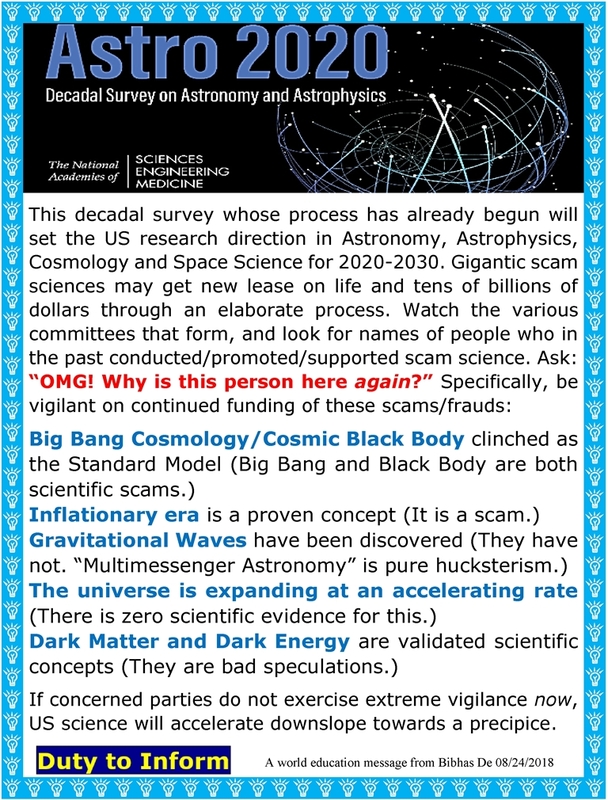 Note that if Robert Dicke set in motion the Penzias-Wilson scam, he also set in motion two other scourges: Rainer’s COBE satellite fraud (2006 Nobel), and Kip and Rainer’s LIGO fraud (2017 Nobel). Everything traces back to Dicke. They are all Dicke’s boys: Arno and Bob and Kip and Rai. This is another ‘A world education message from http://www.bibhasde.com’. The CBS television show THE BIG BANG THEORY – comedy though it may be – is thickly spreading utter scientific rubbish all around the world – from Timbuktu to Tuktoyaktuk. A UCLA professor named David Saltzberg – acting in behalf of the physics establishment – is giving false scientific advice (e.g. passing off the scam discovery of gravitational waves as correct science) to the makers of the show, helping corrupt the world. Bibhas De – Who that be?! Black hole photogs: They’re doin’ a number on the world!